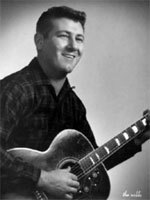 Chanteur, steel guitariste, compositeur et preneur de son Country US, né Jack Henderson Clement, le 5 Avril 1931 à Whitehaven (Tennessee). Jack Clement a débuté en 1951 au sein des "Tennessee Troupers", puis il passe dans les "Dixie Ramblers" de Slim Wallace. Engagé à la Sun Records de Memphis (Tennessee) comme preneur de son, Jack a enregistré Jerry Lee Lewis, Carl Perkins, Roy Orbison, Johnny Cash et Charlie Rich. Il fait un premier enregistrement en solo chez Sun en 1958, mais Jack préférait son travail d'ingénieur du son. Jack Clement est devenu un producteur réputé de Nashville. Il est décédé le 8 Août 2013. 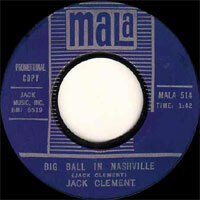 One of the most opportune, creative, and maverick characters in American music history, singer, songwriter, producer, engineer, and song publisher Jack Clement has an amazingly long and varied music résumé that includes working with all manner of musicians ranging from Louis Armstrong, Doc Watson, and Frank Yankovic to U2 , Johnny Cash, and Townes Van Zandt. 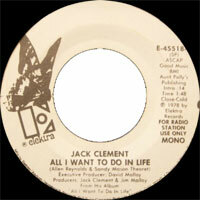 Clement was born in Whitehaven, TN, in 1931, the son of a choir director. He began playing music professionally during a 1948-1952 stint in the U.S. Marines, working with the Stonemans, Roy Clark, and Jimmy Dean and playing in a band called the Tennessee Troupers. In 1953, fresh out of the Marines, Clement and mandolin player Buzz Busby formed the bluegrass duo Buzz and Jack, the Bayou Boys. 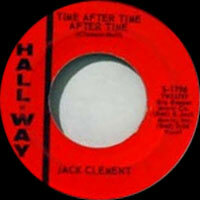 After some time in college, Clement settled in Memphis, where he started Fernwood Records with Slim Wallace, recording artists in Wallace's garage. 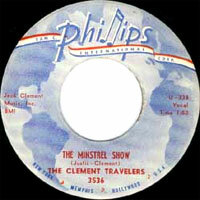 After hearing some tracks from these garage sessions in 1956, Sam Phillips of Sun Records hired Clement as an engineer and producer (as well as a sometimes recording artist) for the label. 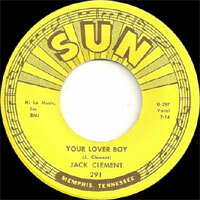 A key architect of the famed Sun sound, Clement worked with Jerry Lee Lewis, Carl Perkins, Roy Orbison, Johnny Cash, and Charlie Rich at Sun Studios over the next three years (turning out some of the most famous and pivotal recordings in rock & roll history) before leaving in 1959 to set up his own Summer Records, which unfortunately folded almost immediately, although the Fernwood imprint he had started with Wallace continued to be active. 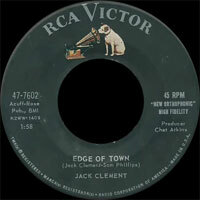 Now frequently billed as Cowboy Jack, Clement began to be an in-demand producer at the major labels, working most notably with Chet Atkins at RCA. He started a song publishing company, Hall-Clement Music, in 1961 with Bill Hall, and a year later pitched one of the new company's songs to country singer George Jones. The song, called "She Thinks I Still Care," went on to hit the top of the country charts in 1962 and became Jones' signature tune. 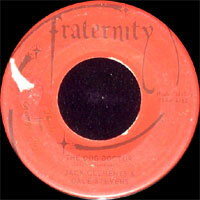 In 1964 a late-night call from Johnny Cash led to Clement arranging the horns for Cash's "Ring of Fire." In 1968 he began producing a series of albums for songwriter Townes Van Zandt. Jack Clement Studios, a then impressive and modern 16-track facility, opened its doors in Nashville in 1970, and promptly had a hit with Ray Stevens' "Everything Is Beautiful." By now a legend on his own terms, Clement worked with Don Williams and Waylon Jennings, among others, in the 1970s, and with Johnny Cash and John Hartford, again among others, in the 1980s. In 1988 he was approached by U2 to record an album back at the old Sun Studios. Clement, who had never heard of the band, was convinced it was a bad idea until friends persuaded him otherwise, and the result was the U2 album called Rattle and Hum. Clement began the new century as part of a performing trio with Billy Burnette and Shawn Camp and then began concentrating on his own records, releasing Guess Things Happen That Way in 2004 and Connect Set and Shakespeare Was a Big George Jones Fan in 2005. Shout! Factory re-released Shakespeare in 2007 along with Cowboy Jack Clement's Home Movies. Jack Clement died August 8, 2013. Jack Clement died of liver cancer at his home in Nashville on August 8, 2013; he was 82 years old. Talents : Record Producer, Recording Engineer, Studio Owner, Singer, Steel Guitar, Guitar, Dobro, Ukulele, Bass Guitar, Film Producer, Poet, Video Maker, "Professional Goofing Offer"
1974 SP JMI 43 (US) The One On The Left Is On The Right / ?